Tools that can be used for pruning are by-pass pruners, pruning scissors and hand-held shears. By-pass pruners are recommended for use in deadheading and cutting back perennials. By-pass pruners make a clean cut through the stem of the plant. Anvil type pruners can damage the stems of perennials by crushing them. Hedge shears are useful for pruning several stems at one time. Hedge shears are especially useful for cleanup in the spring and fall. Smaller pruners should be used when doing more delicate and detailed pruning. Fingers are another great tool that you can use to prune perennials. Direction, quantity and vigor of the growth as desired. Pruning perennials can be an artistic venture that allows the gardener to change the shape of ordinary perennials. Trimming back may be considered a drastic form of pruning in the garden. Cutting back refers to pruning a plant to renew its appearance, encourage a new growth and flowering. Additionally cutting back can be done either before or after flowering. Cutting a plant back to the ground is beneficial for certain spring blooming species (see next paragraph). Other perennials are cut back later in the growing season to renew the plants appearance or encourage new growth and flowering. As a general rule, plants that are cut back after they have flowered have regrowth that remains shorter than the normal mature height of the plant. Cutting back perennials can control the flowering time and height of the plant. When cutting a plant back, buds, flowers and leaves may all be removed. Approximately two inches of stem should be left of the plant when cutting to the ground. Deadheading perennials refers to the removal of spent flowers. 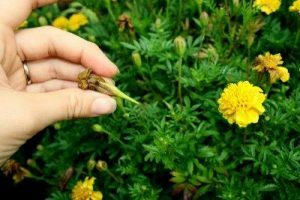 Removing the old flowers is beneficial for the plant because it promotes the growth of new flowers. If the flowers are left on the plant they will eventually go to seed. The production of seeds consumes a great deal of a plant’s energy. When the plant’s energy is not being used to produce seeds, the energy is focused on producing vegetative and root growth, which contribute to a stronger plant. Thinning perennials refers to the removal of stems from a plant. The benefits of thinning perennials are improved appearance, increased flower size, and disease prevention. To thin a plant, cut the stems to the ground in spring. A rule of thumb is to thin one in three stems. Pinching perennials is similar to cutting back, however only a small amount of the plant is removed. When pinching, only the growing tips and first set of leaves are removed. The best tool for pinching is fingernails. It is best to pinch the stem just above a node. Pinching helps improve the growth habit of the plant. This can also be used to stagger bloom time. Pinching is normally done is May or early to mid-June in the Midwest. Disbudding perennials refers to the removal of the plant’s terminal or side buds. Removing the terminal bud of a plant will cause the side buds to produce more flowers. The flowers will be smaller, but more numerous than if the terminal bud was left intact. Removal of the side buds will cause the terminal bud to produce a larger flower on a longer stem. Disbudding is a pruning technique that is commonly used on dahlias, mums, carnations and peonies. Disbudding should be done before the buds are too large. Waiting too long to disbud can cause scars along the plant’s stem. Pruning spring-flowering plants can be beneficial in several ways. Many of the low-growing rock garden and edging plants will benefit from being cut back to one-half the size of the plant after flowering. Pruning back by one-half the size of the plant will prevent it from opening up at the center, which looks unattractive in the garden. The main difference between pruning spring-versus summer-flowering perennials is the amount of cutting back that is required after flowering. Depending on your objective some perennials should be pruned before flowering and others should be pruned after flowering. Pruning after flowering improves the aesthetics of the garden. When the weather has been very hot and dry, the plants usually look a little weather beaten. Depending on the species, some plants should be cut to new basal foliage, and others should be cut to the ground. Some plants look best if they are cut back by one-half or one-third of their mature height. When pruning perennials, cutting out the brown parts of the plant will stimulate growth of fresh green foliage. Gardens and landscapes is our specialty at Lawn Service Carrollton and we aim to please. 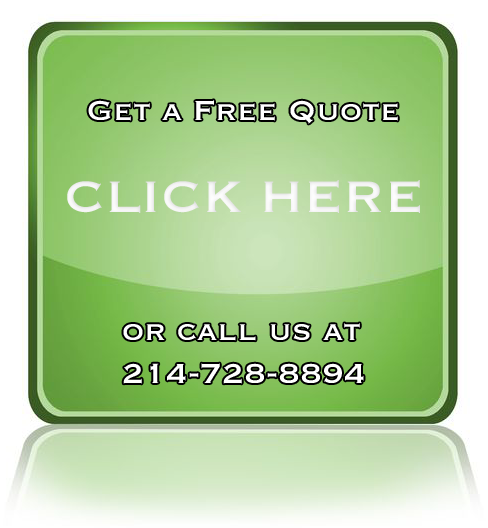 For great landscaping and better customer service Click here for a free Quote.